Although there's no question that DevOps can provide significant benefits to enterprise sized IT organizations regardless of industry (retail, entertainment, governmental agency), a recurring question is "How do I start and what’s involved?" Ross Clanton and Greg Larson will share their perspective on those questions based on their experiences at Target as well as their discussions with other enterprise DevOps practitioners. 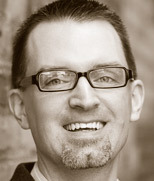 Greg Larson is a technical leader with 18 years of experience in IT, most of which has been with Target. 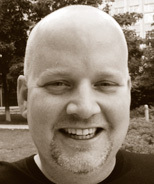 He has played a variety roles, including developer, architect, and manager. He now leads the Enterprise API Team at Target, which was an early adopter of DevOps over 3 years ago, and continues to drive innovation and grow the engineering culture at Target. Greg lives in Minneapolis with his wife and two sons, and is passionate about beer and donuts. Accomplished Leader with over 16 years of IT experience in the retail industry. DevOps enthusiast whose mission is to driveLEAN principles and extensive automation across technology service delivery. Broad experience in IT Operations, Engineering, Security and Compliance, Enterprise Architecture, Business Intelligence, and Data Warehousing. Ross lives in Minneapolis with his wife, daughter, and son.